There seems to be a lot of Do’s and Don’t when it comes to pregnancy and breastfeeding. We are often told what foods to avoid, activities, etc. But what about what food we SHOULD eat? What foods are best for milk production? When struggling to keep up with your baby’s demand (especially if you are a pumping mom), having some go-to foods to help keep your body healthy will have a big impact. 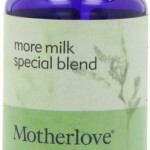 Everyone knows lactation supplements like fenugreek, fennel, goat’s rue, etc help increase your supply. But did you know you can impact your supply by eating everyday foods? While eating oatmeal, blueberries, or spinach won’t in itself increase your supply, the idea is to give your body what it needs nutrients wise to help it be the best milk-making machine it can be! 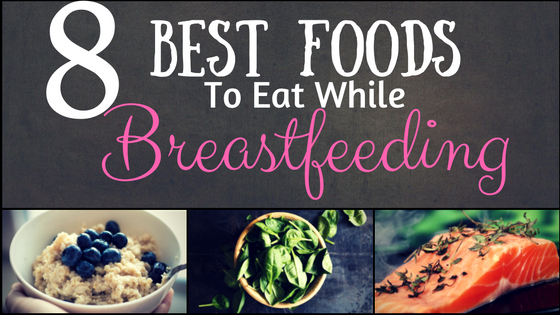 So here is a list of 8 of the best food to eat while breastfeeding! Whole grains like oats, rye, whole wheat, quinoa, and millet are a great source of fiber and iron. Low iron/anemia can affect milk production so it is essential that nursing moms get plenty of iron. The fiber will also help you feel full longer and keep you from snacking on meaningless calories and carbs found in snack foods. Another benefit of whole grains such as oats is that it lowers cholesterol. It has been found that milk-increasing herbs and foods have this in common. 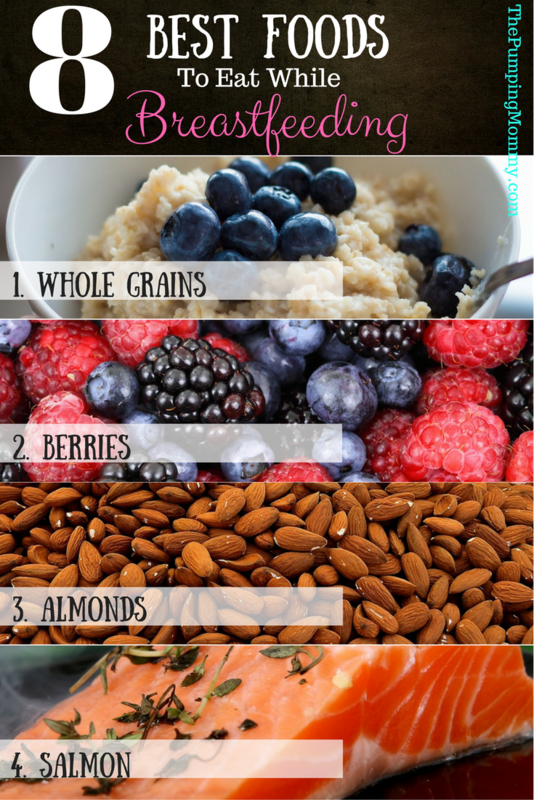 So have a bowl of oatmeal in the morning and reap the benefits! Berries such as raspberries, blueberries, blackberries, and strawberries are full of vitamin A and vitamin C. Babies are born with low levels of vitamin A but breastmilk is rich in it. It is important to eat plenty while breastfeeding to ensure you are meeting the demand your body is using for your milk. Eat them fresh, in a smoothie, in a fruit salad, frozen, dried, or as a refreshing garnish to your water. So many possibilities! Almonds make a great snack that is packed with protein and fiber. They are also an excellent non-dairy alternative for calcium. While it has come out in recent studies that breastfeeding moms don’t need to take extra supplements for calcium, it is important that you get the recommended daily dose. Having a dairy intolerance may hinder that. Almonds are a great substitute for that! Eat them raw- whole or sliced, in salads, as accents to dishes like sauteed green beans, put them in smoothies, or grab some in a Trail Mix! Almonds are delicious and great for a quick and filling snack on the go. Besides being high in protein, salmon is also rich in DHA. DHA, an omega-3 fatty acid, is important for the development of your baby’s brain. It is also a lean protein so very healthy for mom! If you are looking for healthy ways to eat while breastfeeding, salmon is a great option to add to your weekly diet. Eat it grilled, over salad, with quinoa or brown rice, or even try it chilled as a salmon salad! Dark leafy greens are often referred to as breastfeeding super foods. They are packed full of vitamins, nutrients, and calcium (there’s some protein in there too!). Greens like kale, bok choy, collards, spinach, and chard are also rich in folic acid. Eating these super foods will fill you with vitamin A, vitamin C, iron, fiber, protein and more! Eating good portions of leafy greens daily is not only a great idea for healthy milk production but also essential for a healthy diet all around. Greens like spinach are versatile in how you can use them as well. I use spinach in just about everything! My favorite way to eat spinach is putting a hand full or two in with my morning smoothie. You can’t taste the spinach and yet it adds tons of healthy stuff! Eat leafy greens in salads, stir fry, smoothies, with beans or whole grains (try sauteed spinach with lentils!) and just about anything in between! Have no idea what a legume is? Well, it’s basically a bean. Think kidney beans, lentils, pinto beans, white beans, etc, etc. One of the best thing about legumes are the various recipes and ways to eat them. The possibilities are endless. You can eat them in a stew, chili, soup, as a side dish with veggies, hummus, dips (ever try bruschetta and lentil dip from Trader Joes? Google it, you can thank me later. ), and much more! Everyone loves eggs, right? Well, most everyone… The thing about eggs is that they are pack full of all kinds of good stuff – Vitamin A, vitamin b12, riboflavin, protein, zinc and some are enriched with DHA. Eggs are a great way to get a lot of nutrients and all that protein helps you stay full for longer! So have a few boiled eggs for breakfast, slice up some for a salad, eat egg salad on a sandwich, or try my go-to breastfast: fry some eggs in coconut oil and serve over a slice of bread (I go for healthy breads like Dave’s Famous Bread) with sauteed spinach and feta. Yum! You may or may not know that water is the main ingredient in your breast milk. Breastfeeding moms typically need up to a liter more per day, than non-breastfeeding women. While drinking past the point of quenching your thirst (basically forcing fluids all days) won’t make you produce more milk, not drinking enough and becoming dehydrated can cause a dip in supply. Pumping moms may notice a need for more fluids. I know I often saw lower production on the days I did not drink enough. So keep your cup near you and filled and drink away! Have any go-to foods for breastfeeding? Share them with us by leaving a comment below! 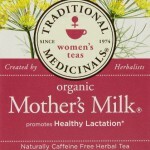 See why Mother’s Milk Tea can help produce more milk! 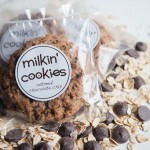 Eat cookies for more milk? Yes, please! This is all great information for easy ways to build and maintain a supply, without mess or true supplements. It’s easy to incorporate these on a daily basis to help maintain your supply. Thanks for sharing! Eating oatmeal alone was a great supply booster for me. I used to eat a big bowl every morning before work! I am a big believer in overall nutrition for moms when pregnant and nursing! Thank you for your comment! I was going back to work in a week, purchased Healthy nursing tea on a whim at buy buy baby. Was able to pump an extra 12 ounces a day and now while pumping at work I can pump and feed my baby at home without running out of milk! That’s amazing!! I have not personally tried Healthy nursing tea. I will be looking it up and maybe be making a Buy Buy Baby run haha. Thank you for sharing what is working for you! Really wonderful site and posts! This list is great for moms who want a natural way to boost their supply! Thank you very much for the kind words! I am glad you found value in this article and information it gives. Boosting milk supply is something I get asked about all the time and I am always looking for new ways. Thank you for your comment and for visiting!